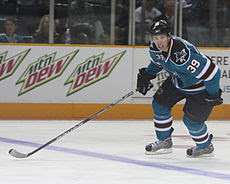 TSN hockey insider Darren Dreger recently reported that the San Jose Sharks are emerging as a serious contender in the Rick Nash sweepstakes. It is my understanding that San Jose was not one of the teams on the list Nash provided. That is not to say he would not accept a deal there. Could San Jose make a serious offer? Columbus GM Scott Howson has said he was looking to get back at least a roster player, some top prospects and draft picks in return. San Jose has been back-to-back conference finalists and will be looking to break that threshold and make their first Stanley Cup finals appearance. Dreger reports that the primary target of Columbus was Logan Couture, but that was dismissed as a possibility by the Sharks. So what would get it done for San Jose? If not Couture then perhaps both sides could agree on either Martin Havlat, or Joe Pavelski as the producing roster player. In terms of prospects in the system, Taylor Doherty who is 6’7’ and weighs 235Lbs and can provide some offense would be very attractive. Justin Braun, Nick Petrecki and one of the goalie prospects of Harri Sateri, or Alex Stalock could also be included. The Cap influence is manageable between these two teams. Nash obviously relieves Columbus of his $7.8 million average. If Havlat or Pavelski who make $5 and $4 million average each were going to Columbus the cap would fit for this year and beyond. With those two players, San Jose has 14 players signed for next season with $8.735 in projected cap space. With the CBA expiring this summer there is really no clear picture of what the cap will look like. 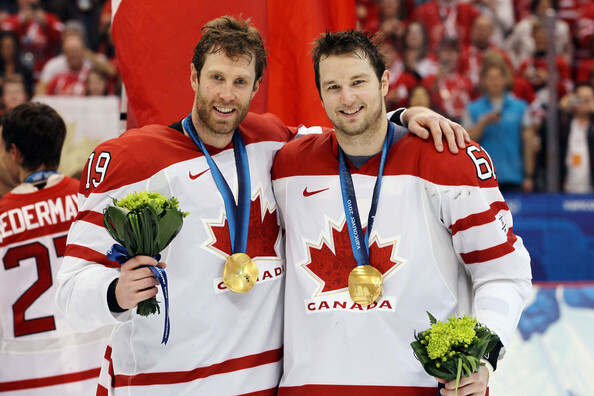 Joe Thornton and Rick Nash won Olympic Gold together. While Nash may not have listed San Jose as a city he would be willing to go to, he may change his mind. 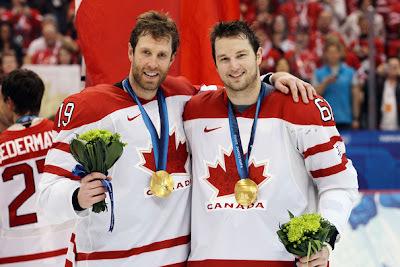 He is very good friends with Joe Thornton, and they have shown good chemistry playing together for team Canada. A top line pairing of Thornton and Nash may be the best pairing in the NHL since Gretzky-Kurri or Hull and Oates. Would Nash agree to move to San Jose? It is a beautiful city, with excellent weather, but a rough travel schedule. Potentially a trade could look like this. Rick Nash for Martin Havlat, Taylor Doherty, Nick Petrecki, Alex Stalock, and the first round draft pick in the 2013 draft. That deal would be the Sharks preference but would Columbus be happy with Havlat? It is more likely Howson insists on Pavelski in the deal. Then it could look like this. Nash for Pavelski, Doherty, Stalock and the draft pick excluding Petrecki from the deal. Losing Pavelski would hurt, but San Jose would still bolster Thornton and Couture as their one two punch at center. Would that be enough to convince Howson to deal with the Sharks? Would another team make a stronger offer? That is what we will look at tomorrow when I examine what the Washington Capitals could offer! Posted by pharling at 4:57 p.m.